This year I made a batch of Valentine cards for different family members, young and old. 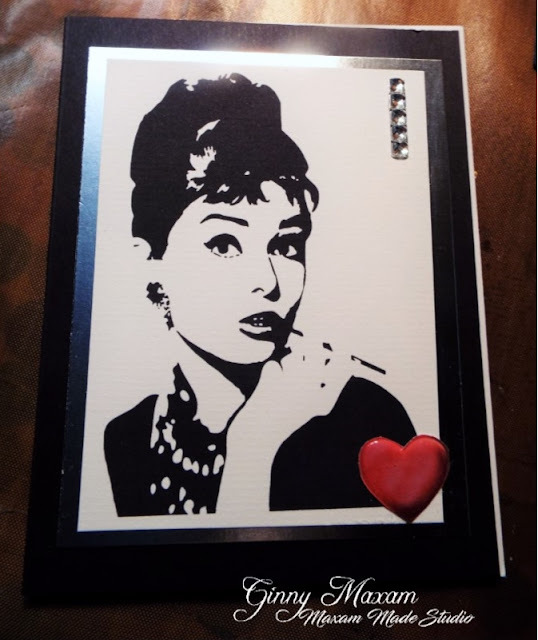 This one I made for my Mom, She loves fashion and I know she was a fan of Audrey’s! This card was made with a Digital Stamp, the printing came out perfect ( I have a cheapo Walmart canon- you would never know!). I used Heavenly White 120# to print on. it just drinks up the ink with no feathering, perfectly crisp! I used Silver Metallic Glossy for the frame and the base is Eclipse Black 100#, perfect for a dramatic base. This card I made for my mother’s boyfriend! The Beetle is an older Tim Holtz stamp ( I think- I took it off a block a few years ago) Again I printed it on the Heavenly White 120# and used the Silver Metallic Glossy for a frame. 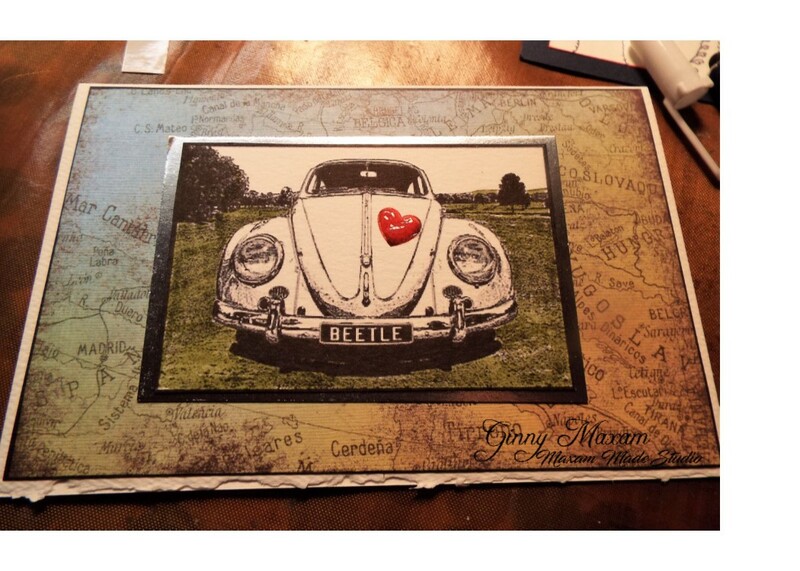 On the focal image I only colored the grass, I left the VW in B+W to allow the beauty of the paper to enhance the image. you might want to stop over at the Paper Temptress sight, the owner, Patricia always has a sale of some kind going on, often with free shipping! Thanks for stopping by and I hope you are having a great day!